I received over 80,000 emails in 2013 and only sent out more than 20,000. In this video, I'll explain why this happened and how I managed this huge volume of messages. 82,000 emails a year, 6,700 per month, 224 per emails day, that’s what I received in 2013. In this short video I’m going to talk to you about your email in and out ratio and how you can find out what sort of load you’re under and certainly how you can fix it. Are you overwhelmed by your email? The good news is that I only sent out 21,000 emails from my Gmail account which is about 1600 per month and about 56 per day. I published a course a while back called Inbox Relief and I put that out there as a product. It was well received. People liked it. It helps you actually eliminate emails from your inbox. One of the tools in Inbox Relief was a free tool that could sign up for and it would tell you your email activity. Now, that tool was taken off the market for years but they just released the report function again. It’s not as detailed as it used to be, but if you go to ToutApp.com, you can take the report. I’ll put a link right near this video where you can go and get your own report. I’m not affiliated with this, it’s just a great resource. Once you analyze your own emails, you can compare that to mine and then start working on improving your situation. Of the 82,000 emails that I received in 2013, a lot of them went to labels or filters that I’ll never actually look at. Like a check label or a file or archive label. 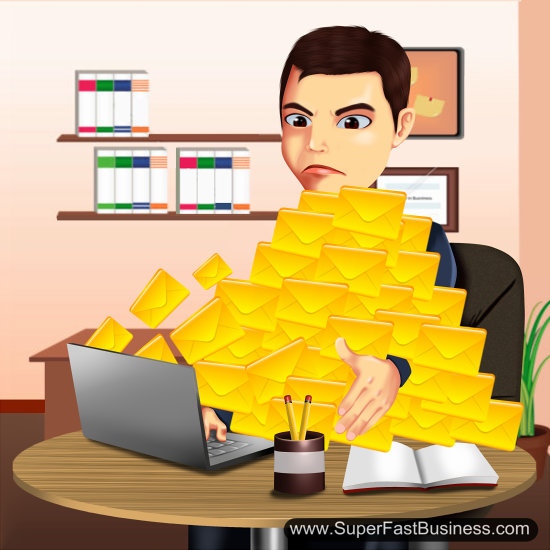 The reason I only sent 21,000 emails from my Gmail account is that most of them were replies and they were the bare minimum that I need to run my business on average. Now, there are peaks and troughs. 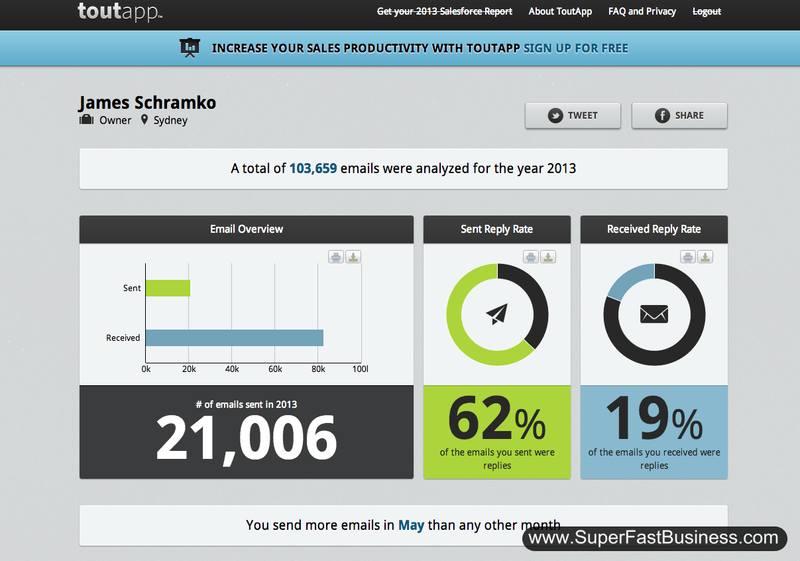 The bulk of my emails were sent using a professional autoresponder service like Office Autopilot where I’ve sent millions of emails in 2013 but from a full on whitelist-cleared subscription-based email CRM system and that’s the best way marketers should operate. Hopefully you’re not sending broadcast emails from your Gmail account because that’s a sure way to get yourself in trouble. Make sure you use a proper system. If you’d like to find out other ways to reduce your email system, check out Inbox Relief. I hope you enjoy the tool. I hope it gives you some insight into how busy your inbox is and I’d love to find out: What are your stats? Post them right near this video. Remember I had 82,000 in and 21,000 out. What were your stats for 2013? I’m James Schramko and I’ll catch up with you soon.